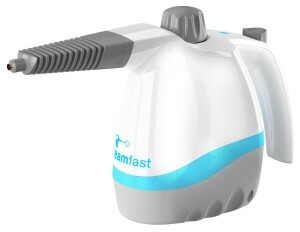 This handheld steam cleaner from Steamfast is not only the most stylish on our list, but also the highest rated on Amazon. A handheld steam cleaner is a small lightweight steam cleaner designed to be used in tight places where a larger steam cleaner simply will not go or would not be convenient to use. 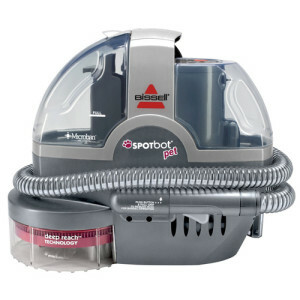 On this page we compare some of the highest rated handheld steam cleaners on the market today, from lesser known brands in the carpet cleaning space like Haan, Scunci, and SteamFast, as well as from the more well-known brands in this space like Bissell and Dirt Devil. Before we actually begin looking at individual steam cleaners it seems like a little explanation regarding these machines is in order. 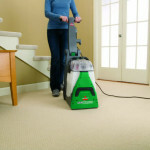 There seems to be somewhat of a misconception about what steam cleaners can do. 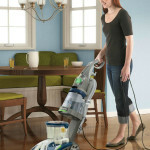 Steam cleaners are designed to break up dirt and sanitize. 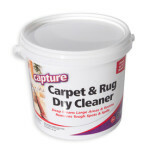 They are not designed to, nor do they, remove the need for all cleaning effort on your part. 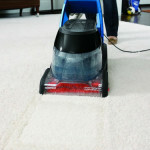 You still need to wipe away the dirt and debris these cleaners’ steam loosen. The dirt does not magically disappear. There seems to be an even bigger misconception when it comes to buying a handheld steam cleaner. 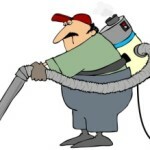 Many people seem to confuse these small, compact, lightweight steam cleaners with what is known as portable steam cleaners. But there is a large difference between these two types of cleaners. Portable steam cleaners are meant to be carried on the back or move along the floor, therefore their water reservoirs can be larger and hold more than hand held compact steam cleaners. Imagine trying to carry a gallon of water (which weighs 8 pounds) in one hand while trying to clean that shower or bathroom sink. Such weight would render these small hand held machines worthless as they would be far too heavy for convenient use. However, it seems that this misconception has resulted in people buying hand held models when they really wanted a portable steam cleaner. This is a large reason why these hand held steamers get no more than average ratings in many reviews. Keep that in mind when viewing the comparison table below. Understanding exactly what these machines are before purchasing one will lead to better ratings and more personal satisfaction for people buying these small handheld steam cleaners. Hopefully the comparison table above was helpful in getting some quick info into the best handheld steam cleaners on the market today. Below we will go a little bit more in depth into a few of the top-rated products. 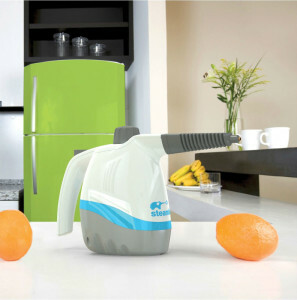 Many of Steamfast’s steam cleaning products have won the good housekeeping seal of approval, and this little handheld steam cleaner is no exception. 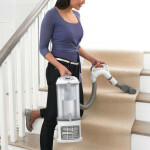 Weighing in at just 2.6 pounds, it is extremely lightweight and portable, and overall a great little steamer. It has the smallest water tank out of any of the handheld steam cleaners on our list, but its 6 oz capacity still gets you at least 10 minutes of steaming time. Steamfast is known for manufacturing quality and reasonably priced steam cleaning equipment for both commercial and home use. 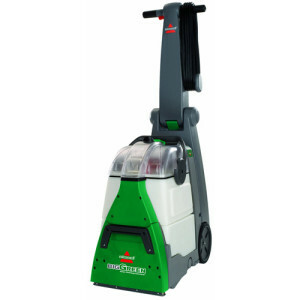 The Steamfast SF-210 is one of the company’s top products, and is also one of the cheapest steam cleaners you are bound to find from any company. Ergonomically designed handle for more comfort when using. Accessories include: measuring cup, steam jet nozzle, short and long wire brushes, utility brush, squeegee, cloth cover, large steam nozzle. 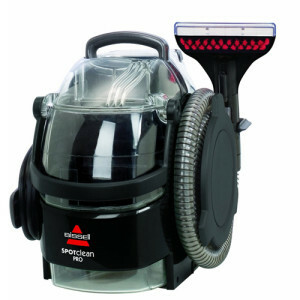 The overall first impression of the Steamfast SF-210 is that this is a lightweight steam cleaner that can get into all those tiny hard to reach places. It has plenty accessories for most jobs. It takes about 3 minutes to heat up your water and start steaming, and about 10 minutes to cool back down before you can refill it. 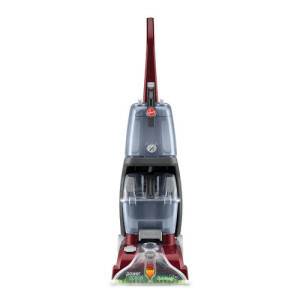 The reviews for the Steamfast SF-226 are like the Haan HS-20 below and other handheld steam cleaners, in that they are quite mixed with a fair number of complaints and poor ratings. But like mentioned above, many negative reviews for steam cleaners are from reviewers who didn’t have the right expectations for what a steam clean can and can’t do. And overall, this is one of the best ones out there. 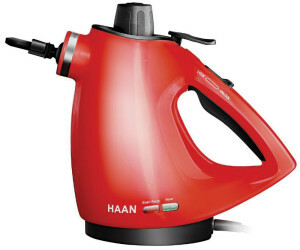 The Haan corporation is known as being a leader in the development of steam cleaners. 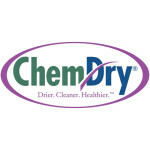 The company has a complete line of steam cleaners and over all these cleaners score well in consumer ratings and reviews. The Haan HS-20 Deluxe steam cleaner is a hand held 1000 watt steam cleaner designed to get into all those nooks and crannies where larger steam cleaners can’t go. Accessories include: extended flexible nozzle, L shaped angle nozzle, glass and mirror squeegee, Microcham sponge and microcham towel, counter attachment, garment and upholstery attachment, hard bristle brush, measuring cup, funnel and carrying pouch. First impressions of the Haan HS-20 deluxe are positive. This little compact has tons of accessories and a carrying pouch to keep everything neatly together. It looks like it can easily do any small job asked of it and do it efficiently. Reviews for the Haan HS-20 are quite mixed with this steam cleaner scoring between 2.5 and 3.5 half stars for an overall average rating of 3 stars. However, it should be noted that most negative reviews were due to complaints regarding how little water this steam cleaner held, which pretty much a given for any handheld steam cleaner. 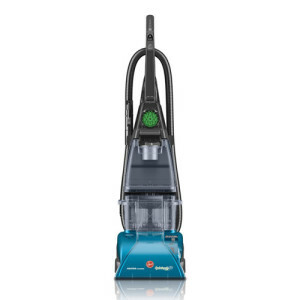 It does hold around 6.7 oz of water in its tank, which puts it on average for the steam cleaners on our list. 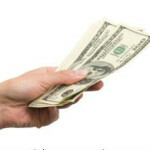 Overall, there are better options available that have been noted to last longer and are much cheaper to begin with. The Scunci SS1000 is a handheld steam cleaner manufactured by the Conair corporation, which is best known for its hair dryers and hair care products. This handheld steam cleaner was sold as an “As Seen On TV” product, before making its way into big box stores. Now it’s an older product, but is still available on marketplaces like Amazon. First impressions of the Scunci SS1000 are moderately favorable. The carrying case is attractive and the machine does look like it will reach into all those small places. However, the lack of clear information about what each tool is really for is somewhat disconcerting. It is also quite expensive these days. These small compact handheld steam cleaner, like all others in this review, has gotten mixed ratings scoring an overall 3.8 stars out of 5. However, there are plenty of positive reviews for this steamer that show just how pleased many people are with this machine. Almost everyone recognizes the name Dirt Devil as this company has been making popular floor cleaning tools for decades. 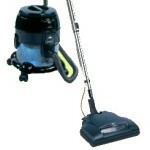 They offer a wide range of vacuums and also several steam cleaning machines. 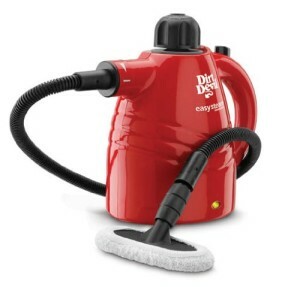 The Dirt Devil Easy Steam is a hand held steam cleaner designed to clean all the hard to reach places. The steam comes out in a safe high pressure, and there are some nice hose accessories on this steamer. On first glance the Dirt Devil Easy Steam seems to have everything necessary to reach those hard to reach areas and get them squeaky clean. The concentrator nozzle that allows for a concentrated spray of stream seems like a real plus for cleaning around sink fixtures and between the toilet tank and bowl. It also has one of the largest water tanks of any of the handheld steamers listed on this page, falling only behind the Scunci. By now it should come as no surprise to you that the reviews for the Dirt Devil Easy Steam are somewhat mixed with it scoring an overall 3.4 stars out of 5 and most of the complaints centering around the size of the water tank. However, like the other hand held cleaners in this review there were plenty of users who loved this product and found that it really worked great in their home. After spending time reading most if not all the reviews for these handheld steam cleaners it is clear that most of these steam cleaners should have scored at least a full point higher in the reviews. Overall, these all seem like excellent products for spot cleaning with hot steam, and most negative reviews are from customer expecting more than what a handheld steam cleaner can offer. It should be noted, however, that the lack of availability of replacement attachments of the Haan HS-20 Deluxe may be an issue for some people. Other than that, which model and brand you choose is a personal choice and not one of these cleaners should let you down if you know what they are designed for.